The waste and pollution caused by needless discarding of unused surgical supplies. The nonprofit Kaiser Health News service has put out an excellent report, looking at researchers’ reviews of 58 neurosurgeries at the University of California San Francisco Medical Center. 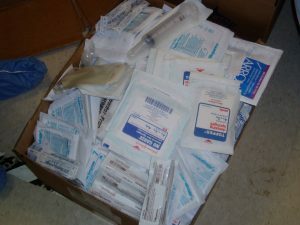 They found that, on average, every neurological surgical procedure resulted in $1,000 in waste, a cost that could multiply to almost $3 million in just that the one department. Further, the too casual discarding of unused, unopened surgical supplies results in tens of thousands of pounds of waste each year that must be specially handled and disposed of at extra cost. It also adds to the burdens at public landfills. The UCSF researchers, who have published their results in the peer-reviewed Journal of Neurosurgery, say there are ways to curb wasteful practices. Scrub nurses were less inclined to chuck expensive, reusable surgical supplies simply if they knew someone was watching. Hospitals also can let doctors know how their per-operation costs on equipment and supplies compares with peers, the researchers said, adding that administrators also may wish to develop and scrutinize equipment and supply orders for surgeries. Millions of dollars in spending on low-value medical services. Researchers at the RAND Corporation, rather than focusing just on excessive spending in public programs like Medicare, turned their sights on patients with insurance and their expenses for services that various analysts and groups say don’t produce much benefit. Although the numbers of these procedures, as reflected in more than 1 million insurance claims analyzed, weren’t that high, 28 of the services produced almost $33 million in dubious costs. The payments went for “hormone tests for thyroid problems, imaging for low-back pain and imaging for uncomplicated headache. The greatest proportion of spending was for spinal injection for lower-back pain at $12.1 million, imaging for uncomplicated headache at $3.6 million and imaging for nonspecific low-back pain at $3.1 million.” A lead investigator in the study, published in the peer-reviewed JAMA Internal Medicine, said, “Our findings add evidence to the notion that reducing overuse of medical procedures could improve quality while reducing spending. 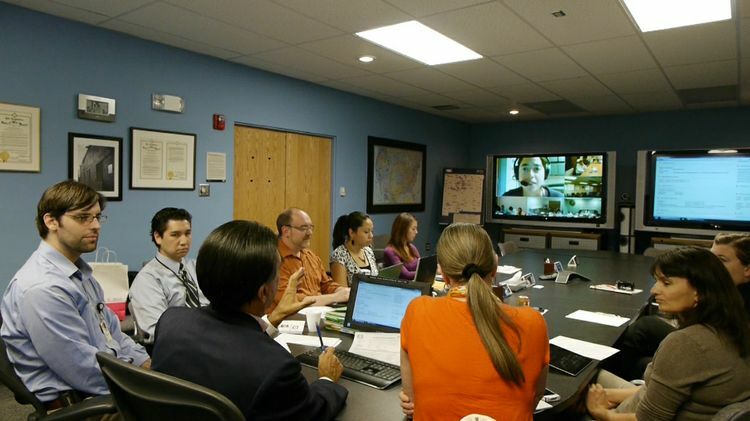 Tapping modern technology, specifically the widely available tool of video conferencing, to train and support primary care doctors so they can offer specialized care to patients in bad shape in distant areas, especially rural sections of the United States. Stat, the online health and medical news site, has put up an excellent report on a 13-year-old nonprofit called Project Echo. It tries to “keep patients under the care of primary care clinicians rather than having them referred to specialists, an increasingly common practice that can expose them to inconsistent care and unnecessary tests. And it helps to ensure patients get treatment. Too often patients must wait months for appointments, or they can’t find specialists at all — especially in rural areas.” The story looks at how dedicated front-line caregivers, with the support of the project, funded by philanthropy and government aid, tackle complex cases with patients who are desperate and would otherwise be bereft of specialist attention. The results aren’t always great. But the project, for example, was scrutinized and its participants’ care compared with specialists at a nearby academic medical center. In a report published in the New England Journal of Medicine, researchers that “hepatitis C patients treated by primary-care clinicians with Project ECHO mentors actually had results equal to those treated by University of New Mexico specialists, and slightly better than those treated by community specialists.” The story also tells the inspiring personal story of project founder Sanjeev Arora, an accomplished gastroenterologist who was financially secure but, especially after his children had grown, decided that life was about more than money. He has committed himself to improving health care for those who may not be able to afford or access it.